As president of the University of California system, one of my most important responsibilities is searching for a new chancellor when one of the university’s campus leaders steps down. This year, I am taking on this challenge on behalf of UC Santa Cruz. It was a bittersweet moment last fall when UC Santa Cruz Chancellor George Blumenthal announced he would retire at the end of the academic year. George became chancellor 13 years ago, during a difficult period for the campus. Overall, his career with the University of California has spanned 47 years. He leaves an indelible legacy: under his stewardship, the campus has grown in both physical size and number of students. With his departure, we must set our eyes on the future. We must consider what we want for UC Santa Cruz, and what we need in its next leader. This campus is special—combining the feel of a small liberal arts college with the depth and rigor of a major research university. The campus is abuzz with cutting-edge research, innovative learning, passionate debate, and nontraditional thinking. It is multifaceted and complex—both the home of the organic farming movement, and the first institution to map and share the human genome. It is the center of the Dickens Universe and the home of a leading video game design program. It calls the gentle banana slug its mascot, and it is a dynamic driver of social change. 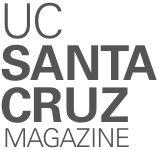 The next leader of UC Santa Cruz will be tasked with further raising the campus’s profile and nurturing its academic and research successes. They will be expected to tackle challenges related to campus growth and budget, as well as student housing and student success. They will need to move forward with a complex strategic planning process, and continue cultivating a strong partnership with the local community. UC Santa Cruz needs a leader who understands the landscape of public higher education in the 21st century, and who’s committed to helping the campus become ever more diverse—among both students and faculty. We seek a chancellor who understands Santa Cruz’s distinct character and commitment to social justice, all while capitalizing on its proximity to Silicon Valley and the entrepreneurial spirit of the state of California. Can we find such a leader? I believe so, and I will work hard with campus stakeholders to make it a reality. UC Santa Cruz is a campus like no other. Its next chancellor must be just as extraordinary. Fiat Lux and Go Slugs!